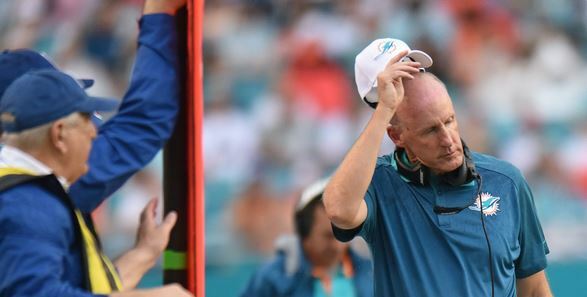 The Miami Dolphins have fired head coach Joe Philbin, according to Fox Sports' Jay Glazer. The Dolphins will name tight ends coach Dan Campbell as interim coach, a team source told the Sun Sentinel. Philbin was 24-28 in his three-plus seasons as coach of the Dolphins, who haven’t finished above .500 since he became coach in 2012.